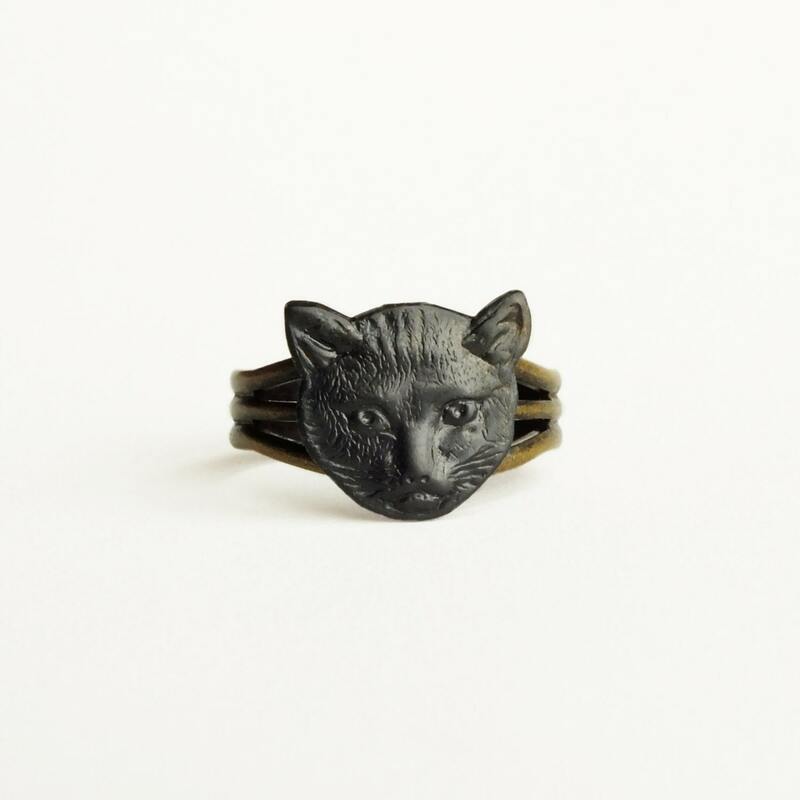 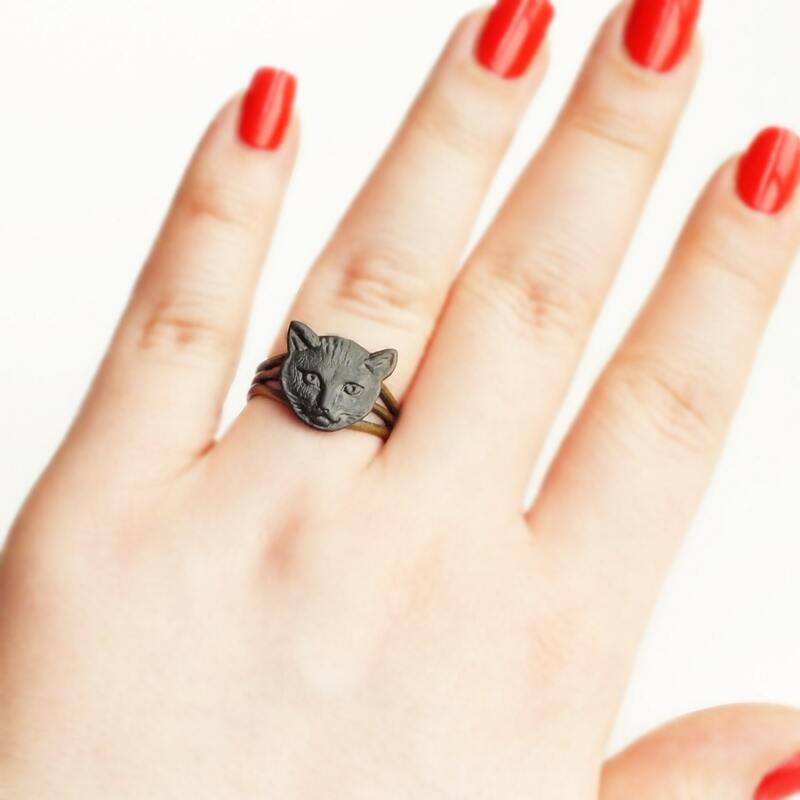 Handmade black cat ring with oxidized brass cat face and adjustable band. 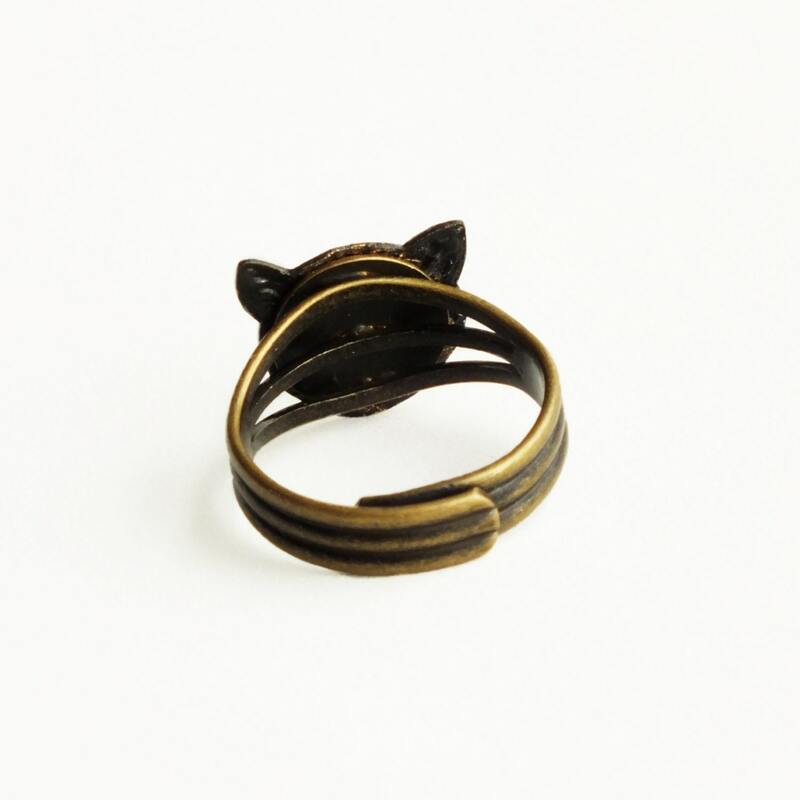 US made oxidized brass cat. 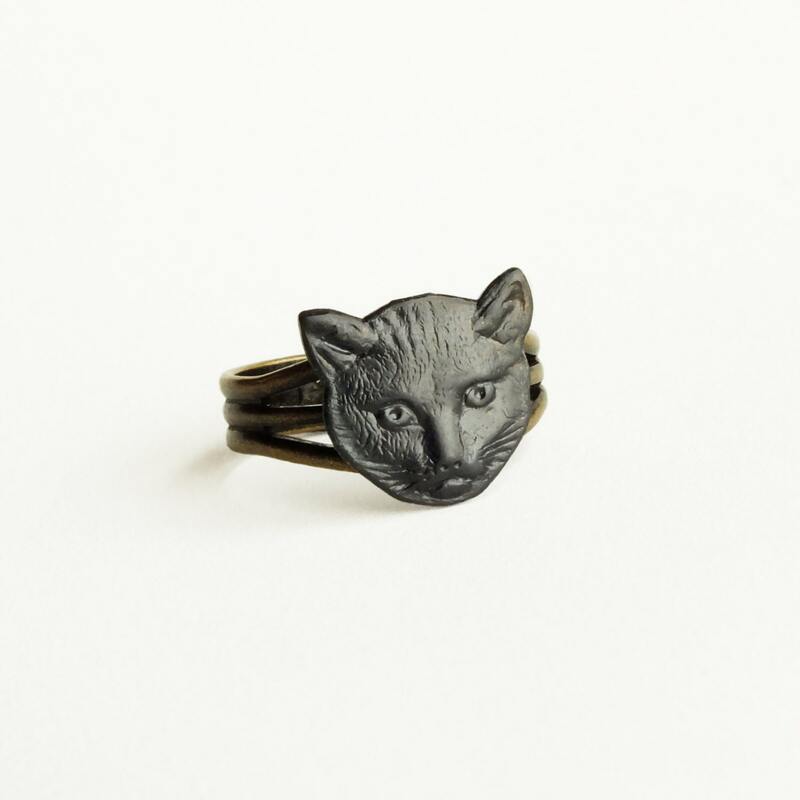 Made with a detailed raw brass cat face I oxidized to a weathered black patina. 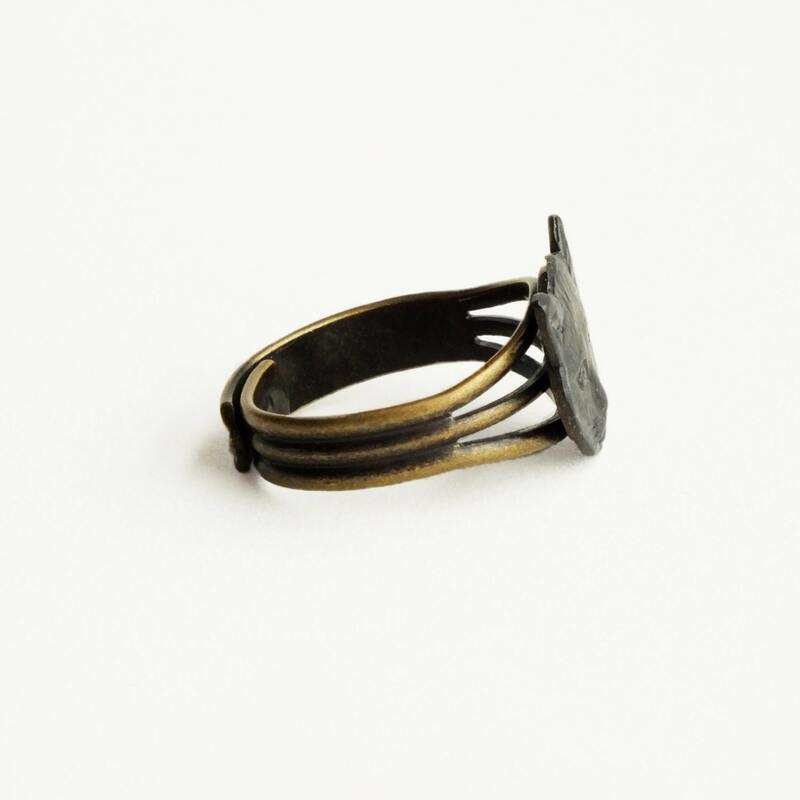 Secured to a beautiful super comfortable sturdy antiqued brass band.